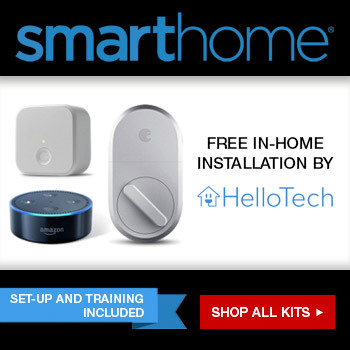 In this article, we will talk about how to install a smart light switch and help you on your journey towards creating a complete smart home. Most of us find the concept of smart lights appealing. Not only is it convenient but can be quite economical as it helps to minimize energy waste and even provides some form of security. Home improvement projects involving electricity are inherently dangerous, even the most innocent mistake can cause serious injury or death. ALWAYS READ AND FOLLOW INSTRUCTION MANUALS AND SAFETY WARNINGS PROVIDED BY THE MANUFACTURER OF THE PRODUCT YOU ARE USING. ALWAYS FOLLOW THE SPECIFIC ELECTRICAL CODE REQUIREMENTS SPECIFIC TO YOUR STATE and before undertaking any home electrical project, contact your local electrical authority and your insurance company to ensure that you comply with all policies, warranties, regulations and authorities concerning this work. Any advice or guidance provided on this page or within the site is for informational purposes only. If you are in any way unsure about completing any aspect of this, DO NOT undertake the work yourself and CONSULT A QUALIFIED ELECTRICAL CONTRACTOR to undertake the project for you. No advice or information, whether oral or written, obtained by you from us or through this website shall create any warranty not expressly detailed here AND you, the reader, agrees to assume all risk resulting from the application of any of the information provided. YOU EXPRESSLY AGREE TO INDEMNIFY IDISRUPTED.COM FOR ANY AND ALL LIABILITY FOR ANY PROPERTY DAMAGE, PERSONAL INJURY AND/OR DEATH, OR ANY OTHER LOSS OR DAMAGE THAT MAY RESULT FROM YOUR USE OF THE INFORMATION PROVIDED HERE. Working with electricity is dangerous! Always get professional advice from a licensed and insured electrician! Before you roll up your sleeves, let’s go over the tools you’d need for the job. Smart light switches require neutral wires, which should come with the switch, but no harm in being prepared. Now the junction box, you want to make sure your junction box is made out of plastic because smart home communication protocols like zigbee and z-wave have trouble passing through metal, wifi included! 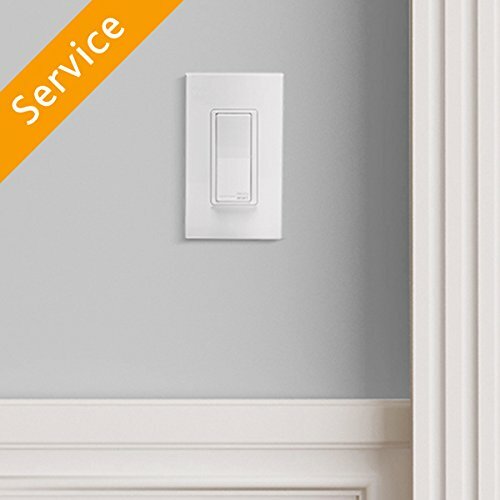 Since smart light switches are much larger than traditional light switches, you will need to make sure there is enough room in the wall or the larger junction box for the bigger switch. You’ll need at least extra two inches in your junction box for the new switch to fit perfectly. Of course, you can have the box sticking out a bit, but why go through all the trouble just to have an awkward looking switch protruding out of the wall. Lastly, you’ll need a couple of tools, nothing special or fancy, just your everyday needle-nose pliers, a Phillips-head screwdriver and a flat-head screwdriver. Aside from the essential, having some of these handy tools will make the job much easier. You’d also want wire stripper to cut or strip wire housings, a voltage tester and some combination of pliers. Needless to say, this is by far the most important step. Make sure you cut the power to the room from circuit breaker box. Ideally, you’d want to turn the light switch on before cutting the power. This will ensure without a shadow of a doubt that you’ve got the correct breaker. You’ll probably need a flat-head screwdriver. Most light switches have two screws to hold the faceplate in its place. After you’ve removed the faceplate, you can use the voltage tester to make sure there is no electricity running through the wires. Though it’s not particularly important if you followed step one correctly, you can never be too safe, right? After you’ve removed the faceplate, remove the light switch from the junction box. There should be two screws, and you’ll need your Phillips-head screwdriver for this. Once successfully unscrewed, gently pull out the light switch. You will see some wires connected to it. You’ll notice two black wires and a bare copper wire, which is the ground wire. Further back, you’ll find two white wires tied together using a wire nut. Make sure you’ve got this part even if the colors are different because you will have to connect the same wires in their correct places. First, remove the two black wires, which are the power or hot wires. Since the black wires are interchangeable, you don’t have to worry about the sequence of the wires. Next, you’ll have to remove the ground wire or the bare copper wire. After completely removing the light switch, you’ll need to make some preparation for the smart light switch. First, you’ll have to straighten out the wires using your needle-nose pliers. In most cases, you leave the neutral wires as it is, but for a smart light switch, you’ll need them as well. So, next, you’ll have to remove the wire nut off the white wires. Once removed, leave them as they were, you’ll just have to add a third wire to the mix. Finally, on to the smart light switch. You’ll notice it has four wires sticking out of it. Two of them should be black, the other two, green and white. As mentioned earlier, black wires are for power, white for neutral and green for ground. You’ll find all of this information on the switch’s user manual as well. Start off with the ground wire. Connect the green wire to the bare copper wire. Next, you’ll do the same with the black wires. Remember, the sequence of the wires doesn’t matter, they’re interchangeable. Lastly, you’ll connect the white wires. Now your only concern is to stuff all of the wires and the switch into the junction box. Don’t worry if you need to get rough with the wires; they can take it. Place the smart light switch into the junction box and screw it back in. Screw in the new faceplate on top of it, and there you have it, your new smart light switch. Now all that’s left is to connect it to your Wi-Fi network. , or via a home automation controller. Please be advised that nothing found in this article can anticipate your situation or has been reviewed by people with the expertise required OR KNOWLEDGE OF YOUR SPECIFIC PROJECT, ENVIRONMENT, ELECTRONICS, ELECTRICAL PRODUCTS OR EQUIPMENT to provide you with complete, accurate or reliable information. THIS ARTICLE DOES NOT CONSTITUTE, GUARANTEE OR PROVIDE, EXPRESSLY OR IMPLICITLY, NOR DOES IT REPLACE, PROFESSIONAL ADVICE.